Withings Watch Battery Replacement: Hassle Free! Order: When you place your order with WatchGnome, we immediately send you a padded watch box and prepaid return shipping label. You’ll get your Withings back in just a few days without ever having to leave your house! What Battery Does The Withings Watch Take? It depends on your model but overall these watches use the larger, 3 Volt batteries like the CR2025 produced by Energizer or Sony. How Much Does A New Withings Battery Cost? A new Withings battery replacement costs between $20 and $40 from Watch Gnome depending on the speed of service your choose. All of our services use the same top quality batteries and precision inspection and battery change. But our Premium and Deluxe service include packaging, shipping costs and even quick turnaround time. The Withings brand was originally founded in 2008 by 2 executives Éric Carreel and Cédric Hutchings. The company’s first product was the Smart & connected body scale, which officially launched in the summer of 2009. The first launch was a success and about a year later, in September 2010, the company received its first venture capital funding – $3.8 million to fund the development of the company’s next two products which were a blood pressure monitor that connects to Smartphones and a baby monitor for use with smartphones and other connected devices. These new products were made available for purchase across Europe in November 2011 and in the US in February 2012. In July of 2013, Withings received a $30 million investment from another group of partners. In 2016, Nokia made a deal to acquire Withings and integrate it with the group’s Nokia Technologies division. The CEO of Withings, became the leader of the new Digital Health business of Nokia Technologies (the successor of Withings). On 23 December 2016 Withings products were pulled from the Apple Store for unclear reasons, allegedly, as an act of retaliation following the escalation of a patent dispute between Apple and Nokia. 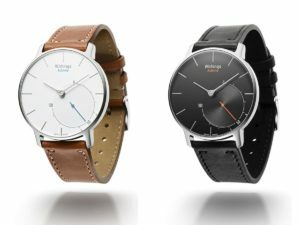 On February 26th, 2017, it was unfortunately announced that Withings is to be no more as a brand: its devices will be sold under the old Nokia brand, starting sometime in summer 2017. Withings Activité is an activity tracking, Smart watch with three models. The Activité Sapphire which came out in 2014, the Activité Steel which launched in 2015 and finally the Activité Pop (2015). The watches are unique in the fact that they have NO buttons. Instead, everything is controlled from the phone app. The watch automatically resets in new time zones. It can track the user’s swimming, sleep, walking and running automatically. Sleep and activity are displayed on the app as graphs. 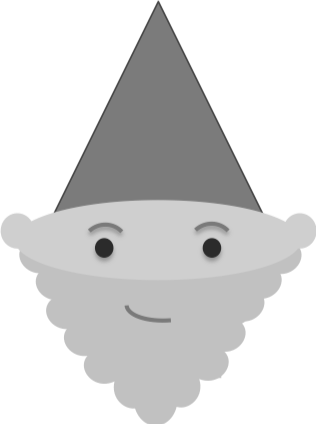 The app offers competitions with friends, even with people who only have an iPhone and no fitness tracker. The Activité Steel is made of stainless steel with chrome hands and a modern silicone strap. The battery life of the Activité is up to eight months and the device is water resistant to 50 meters. The Activité Sapphire is Swiss-made, with scratch-proof domed sapphire glass, stainless steel and French calf leather. The Activité Pop is constructed from a PVD-coated metal, features mineral glass and has a silicone strap.